11-26-2017Liturgy CornerFr. Paul Turner © 2001 Resource Publications, Inc. According to an old tradition, Catholics may offer a contribution to a priest and request an intention for a particular Mass (canon 945-946). This custom invites the faithful into a deeper celebration of the Eucharist by uniting their sacrifice with that of Christ. It also helps compensate the church's minister for his work. Because of the latter reason, the contribution is called a "stipend." In affluent countries the stipend is inadequate and the priest receives a salary. In poor countries priests cannot support themselves without the Mass stipend. "He will come again in glory to judge the living and the dead and his kingdom will have no end." This is what we state as our belief, one of the mysteries of our faith to which we give our hearts. We hear God speaking of this through the prophet Ezekiel: "I will judge between one sheep and another, between rams and goats" (34:17). Saint Paul shares his vision of the Second Coming, when Christ hands over all things to his God and Father, death having been destroyed and God finally becoming all in all. Only Matthew describes the scene of the Last Judgment in his Gospel, when our eternal future will depend on how we have cared for others, especially the most vulnerable and most needy: the hungry, the thirsty, the stranger, the naked, the sick, the imprisoned. 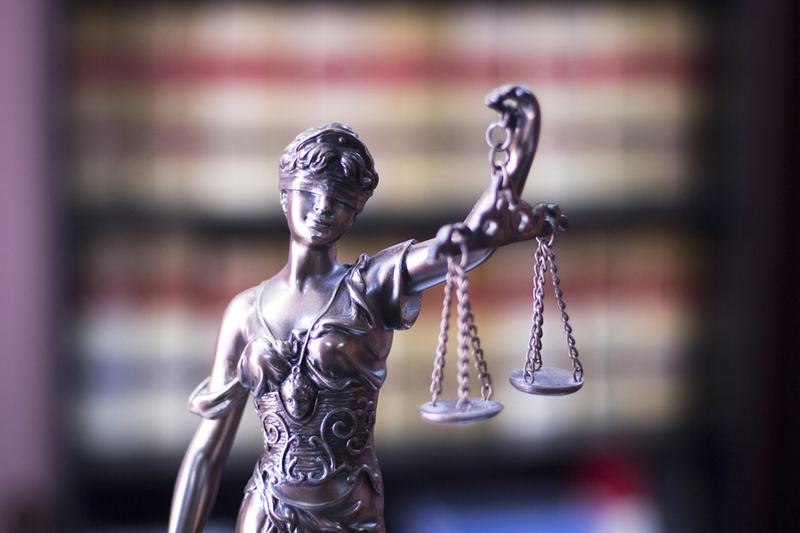 Our judgment then will depend on our mercy now. If the Last Judgment were to happen today, what verdict would I receive? Adult: Who are the least of your sisters and brothers for whom you do care? Who are those whom you ignore? Child: To which person did you especially try to show the love and care of Jesus? Live in the now! Be present to the present! Saint Paul sums it up: “All of you are children of the light and children of the day. We are not of the night or of the darkness...Stay alert and sober” (1Thessalonians 5:5, 6). Faith empowers us to share the light given at Baptism and strengthened by the sacrament of Confirmation. Like the strong woman held up at the close of the book of Proverbs whose value is far beyond pearls, let us find our wisdom flowing from a fitting fear of and reverence for the Lord. This week’s parable of the talents distributed among three servants is not to be understood simply in terms of human abilities and gifts we have received, but more fittingly considered as the invaluable distribution of the riches of the gospel in each of our lives. These riches are to be invested in life and in our world for the benefit of all, especially the poor and vulnerable, not hidden away for safekeeping. Let us be good stewards of what has been placed in our care. How are you investing the gospel so as to be able to make a return to the Lord when you are called upon on the last day? Adult: What gift have you not developed as you had hoped? What could you still do? Child: What gift has God given you? What do you want to do with it? 11-19-2017Liturgy CornerFr. Paul Turner © 2000 Resource Publications, Inc.
Catholic Church law used to forbid cremation, but it now makes allowance for the practice. The church recommends that the bodies of the faithful be buried, but it permits cremation if the reasons for choosing that method are not contrary to Christian teaching. Viewing the body of the deceased naturally recalls the person's deeds of kindness and testimony of faith. It brings to mind our belief that the human body is a temple of the Holy Spirit and the heir to glory at that the resurrection of the dead. Because of the reverence owed the body, the Catholic Church still prefers its burial at the time of death. When cremation is chosen, the remains merit the same respect accorded to the body. They deserve a worthy vessel and a respectful means of transport. 11-12-2017AllFr. Paul Turner © 2005 Resource Publications, Inc. 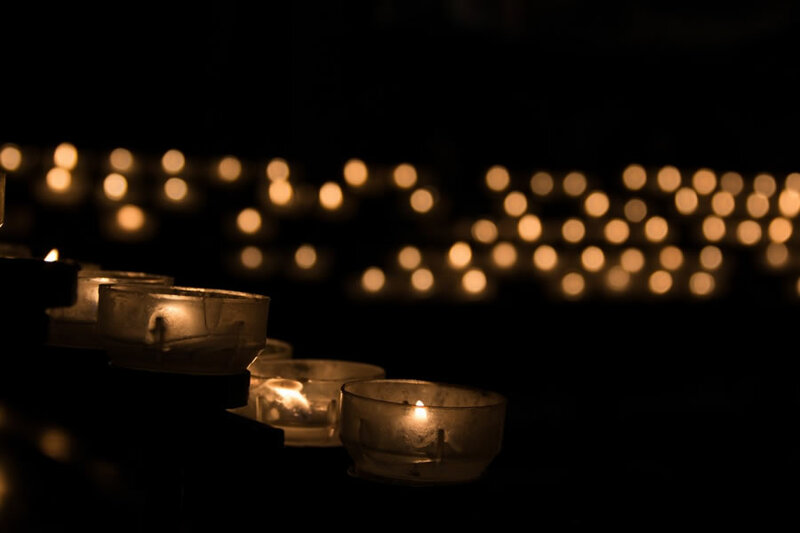 In Catholic funeral services, it is customary to hold a vigil for the deceased the night before the funeral Mass. In the United States, the vigil is often held in a funeral home, but it may also take place in the parish church. Because the vigil is a liturgical service, the church is especially appropriate. The church provides the appropriate setting for liturgical prayer – a place for presiding, an ambo for reading the Scriptures, musical instruments, and participation aids for singing. The vigil begins when the minister stands and greets the people. A song may then be sung. The minister invites everyone to pray silently and then leads an opening prayer. The Liturgy of the Word follows, as typically happens at Mass. A first reading is proclaimed. A psalm is sung. All stand for the proclamation of the Gospel. A brief homily is even given. Several prayers bring the liturgy to its close: a litany, the Lord's Prayer, and a concluding prayer. The minister gives a final blessing. The virtue of wisdom is highly regarded in the Bible. Wisdom is imaged as a woman in today’s first reading, “resplendent and unfading” in the beauty and gifts she brings to those who seek her (6:12). Indeed, she seeks those worthy of her and graciously appears to them. Wisdom prepares us to be watchful and ready for the One who comes at an unexpected hour. Both Saint Paul in the letter to the Thessalonians and Jesus’ parable of the ten virgins call us to trust in the promises of God’s word that Christ will return. Saint Paul supports the Thessalonians who are grieving over the loss of their loved ones, reminding them that they are called to live in hope because Jesus will bring those who have died to life again with him. In the meantime, let us keep a supply of the oil of good works in readiness to greet the Beloved when he comes to take us into the kingdom. To be wise is to be ready for a future life with the Lord. What are you pursuing in your life? Is it the wisdom of God? 11-05-2017Liturgy CornerFr. Paul Turner © 2005 Resource Publications, Inc. Some parishes display a book of the names of the dead. The book keeps an informal record of members who have died and can be put on public view to help the living remember the dead. The Catholic Church requires every parish to maintain a register of deaths. After each funeral, the name of the deceased is to be inscribed in this parish register. This register is usually kept in the parish office, where it serves as a reference book. Every parish is obliged to keep one. God sets high standards for the religious leaders of Israel in the Old Testament. The prophet Malachi (whose name means "messenger") delivers a threatening command to the priests in our first reading. Not only had they turned aside from the Law of Moses, but they were leading the people astray. 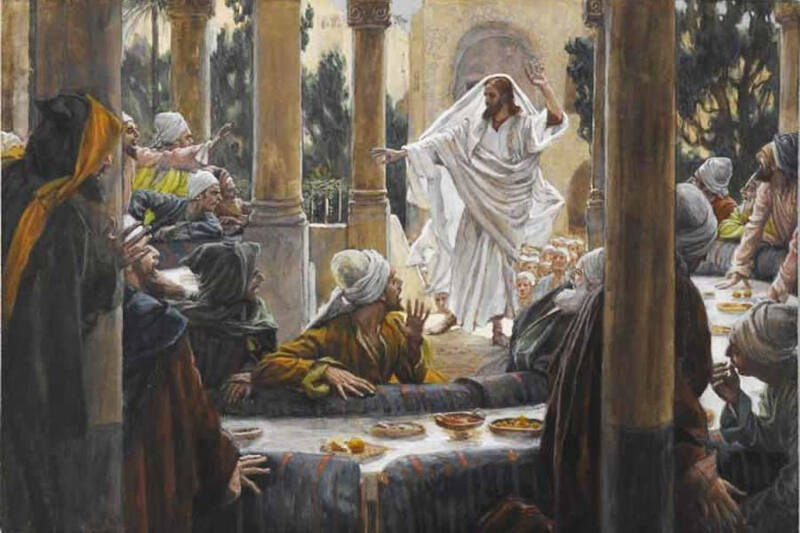 Jesus makes a similar critique, speaking to his disciples and the crowd telling them to listen to the scribes and the Pharisees, but not to imitate them. Both groups talked a good game but did not follow through in practice. They wanted applause and special recognition, but were not willing to serve the people with humility. Even worse, their teaching laid burdens on them. 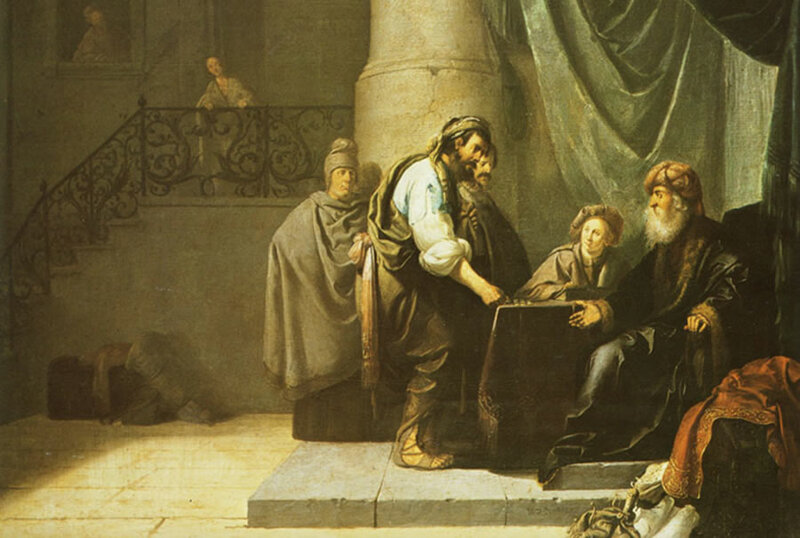 Notice the difference between these two groups and Saint Paul's tender attitude and affectionate behavior described in his first Letter to the Thessalonians. No wonder this community received his preaching not simply as "a human word but, as it truly is, the word of God, which is now at work in you who believe" (2:13). Good leaders are humble servants. What has been your experience of church leaders? Do you pray for your bishop, priests, deacons, and teachers of religion? Adult: Is there an area of your life in which you sometimes feel like a hypocrite? Child: Why is it important for you to live according to how you believe?